Abstract. The objective of this work is to propose a model abled to optimize the mechanical properties from gaseous nitriding of steels (hardness, residual stresses) for a given loading and fatigue lifetime. 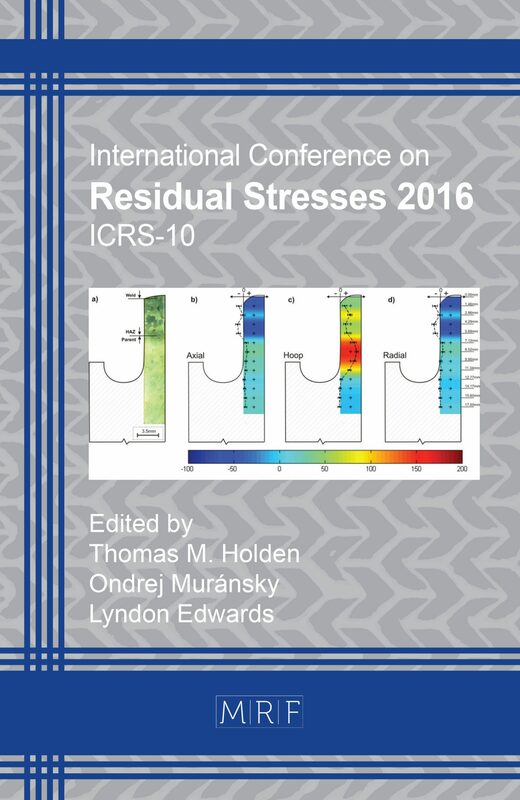 Multiaxial fatigue criteria are used and the present study focuses on the influence of residual stresses. Starting from a surface loading profile, the theoretical residual stress in-depth profile can be calculated aiming infinite fatigue lifetime. The model allows then optimization of the nitriding parameters. M. Chaussumier. PhD Thesis, Ecole Nationale Supérieure d’Arts et Métiers, France (2000). L. Barrallier, J. Barralis. On origin of residual stress generated by nitriding treatment on alloy steels, Proc. 4th Int. Conf. Residual Stress, Baltimore. 43, 629-642 (1994). L. Barrralier. PhD Thesis, Ecole Nationale Supérieure d’Arts et Métiers, France (1992). L. Castex, J. Barralis et J.C. Chaize. Etude de la tenue en fatigue de l’acier 32CDV13 nitruré, Mémoires et Etudes Scientifiques Revue de Métallurgie. 84, 13-23 (1987). B. Crossland. Effect of large hydrostatic pressures on the torsional fatigue strength of an alloy steel, Fatigue of Metals-International Conférence-SEP LONDON, 138-149 (1956). O. Message, K. Dang Van, B. Griveau. On a new multiaxial fatigue criterion : theory and application. Biaxial and Multiaxial Fatigue, Mechanical Engineering Publications, 1989, pp. 479-496. B. Weber. PhD Thesis, Institut National des Sciences Appliquées de Lyon, France (1999).